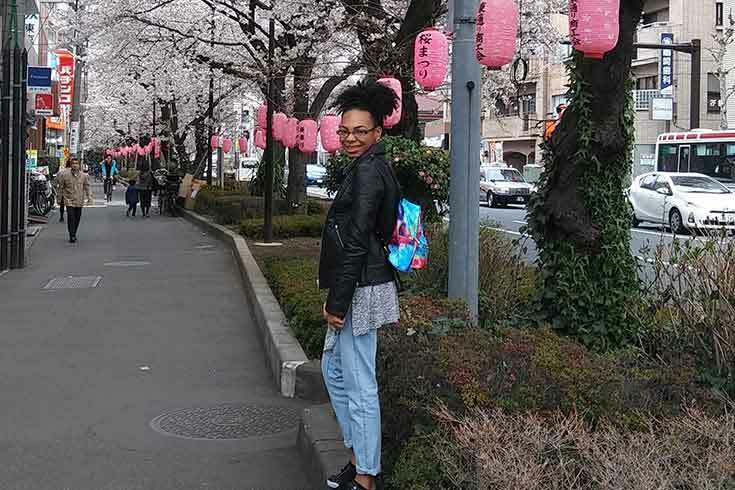 Reason you chose this program: I gravitated towards CIEE Tokyo Arts & Sciences because I wanted to be in the center of Tokyo, Japan. My host institution, Sophia University was located in the heart of Tokyo and filled with historical significance. Favorite class: CIEE allowed me to take classes in numerous fields alongside both Japanese and other international students. My favorite class was an anthropology course called Culture and Identity. I loved listening to others viewpoints on issues presented in the course. Housing situation: During my time abroad, I lived in an international dorm in the suburbs of Tokyo. The dorm housed Japanese locals as well as individuals from all walks of life. I had the time of my life exploring the narrow streets of my small neighborhood searching for all of the ramen shops. Best memory: One of my favorite memories was attending the Marine’s Day summer festival at Odaiba. It was a day to give thanks to the sea. They lit lanterns along the shore of the beach in patterns depicting images that symbolize Japanese culture. It was a beautiful summer night filled with delicious street food, friends, and joy. Greatest challenge: When I first arrived in Japan, I lacked confidence in my Japanese skills. I didn’t want to have any miscommunications or offend anyone. Overtime I got over my fears and began to trust in my abilities. Also once I realized how caring and nice the locals were, it made it even easier! What you know now that you didn't know before: Recycling is a BIG deal in Japan. People put in the effort to ensure that their small country is safe, clean, and sustainable. Fact about Japan that you think people would be surprised to learn: You can never go wrong with ramen in Japan. It’s delicious everywhere! Someone told me the day I got to Japan to try ramen whenever I got the chance. I was never let down!